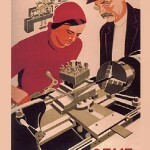 The author of this poster – Soviet poster artist Maria Bri-Bein. 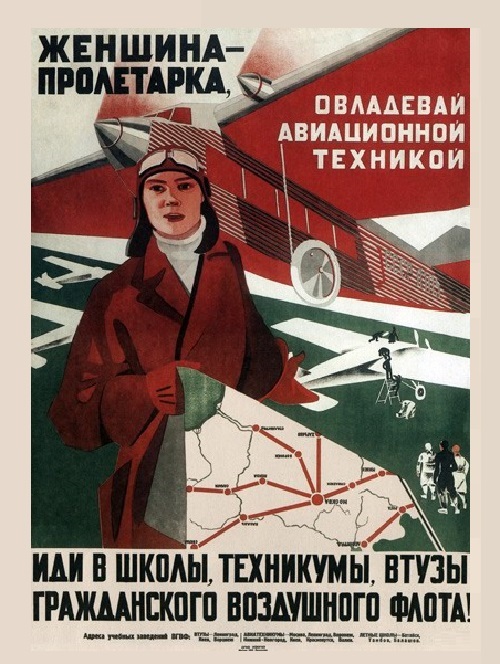 Her statement was “for the successful implementation of the historic tasks artist should maintain his two main development tools – clarity and mass.” Maria’s posters are clear, specific, dynamic, expressive, not overloaded with details, and are interesting to contemporaries not only with the plot, but that they were made by the woman – artist. 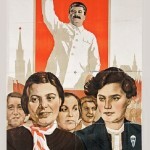 The struggle of the Soviet state for the “liberation” of women, the approval of the idea of ​​the necessity of her participation in the creative work is reflected in the paintings of many painters. 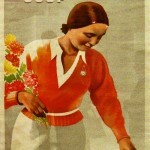 The Soviet era heroine in artworks by Bri-Bein is stately, beautiful, confident in her work, mission, and her future. Maria Felixovna Bri-Bein (1892, Odessa -1971, Moscow) was a member of the Moscow Union of Artists (1932). She was the author thematic paintings, portraits. She also worked in the art of miniatures on ivory. In 1910-1915 she studied at the Odessa Art School. She was taught as an assistant in production workshops in Odessa. Since 1924, she studied art in Moscow. 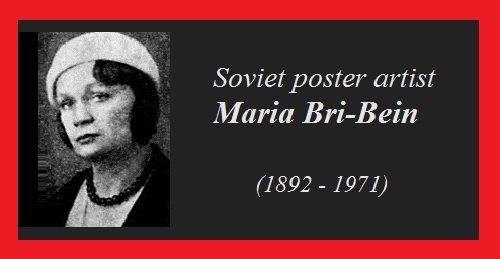 Maria became a member and exhibitor of Association of Artists of Revolutionary Russia, active participant of exhibitions since 1917, as part of teams participated in exhibitions at the plants and mobile propaganda exhibitions, in the organization of the Central anti-religious museum. 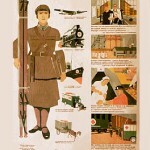 Posters by Maria Bri-Bein of late 20’s – early 30-ies are free of frills, traditionally descriptive and illustrative. In her work, she is actively using constructive techniques, multifaceted composition, sharp angles and sharp-edged close-ups, avoiding volumes in the transmission form and extremely easy palette, however, does not use fashionable for that time collage. 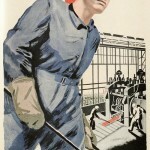 Maria Bri-Bein received first prize for political and industrial posters in competitions at the Palace of Culture named after Krupskaya (1930) for the Lenin poster. 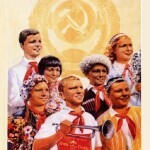 In 1934 she received the 1st prize in the poster competition for the 10th anniversary of the death of Lenin. Since the late thirties she was engaged in the themes of childhood, school and pioneers. 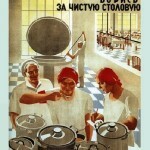 Her most famous posters of the time: “Long live women’s equality in the USSR” 1939, “Glory to our beloved homeland!” 1950, “Let’s be the builders!” 1953, “Help the younger!” 1953, “The farmers, master the science, be masters of high yields!” 1953, “When you tie this necktie – take care of it!” 1955. 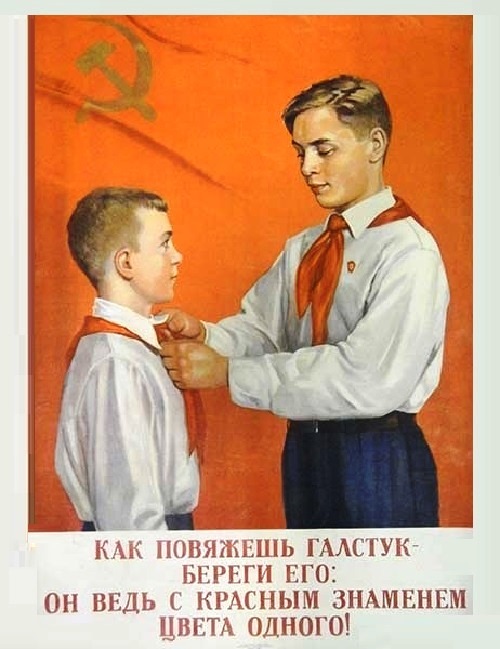 As an illustrator, she worked in the Moscow Theater of Children’s Books (1930), in publishing “Young Guard”, “Worker” magazine (1930 -1950-s). She has participated in exhibitions: “Art of Movement” (1925, Moscow), Soviet art (1932, Königsberg), “Artists of the RSFSR for 15 years” (1933-1934, Moscow), “15 years of the Red Army” (1933-1935, Moscow, Leningrad Kiev, Kharkov), “Poster and satire for 40 years in the works of Moscow artists (1958) and others. 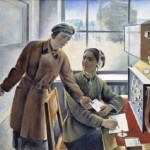 The artist’s painting is at the State Tretyakov Gallery ( “The University of Toilers of the East” 1929 “Women-Operators” 1930). 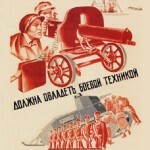 Posters by Bri-Bain are stored in the Russian State Library funds, the National Library of Belarus. have died for it ..